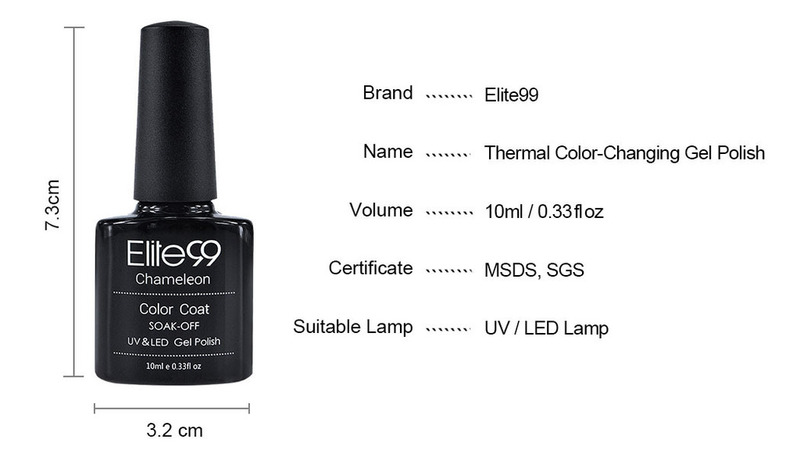 The Color Changing Points for this 3-color-changing nail gel is under 20°, 20 °-28 ° and above 34 °. 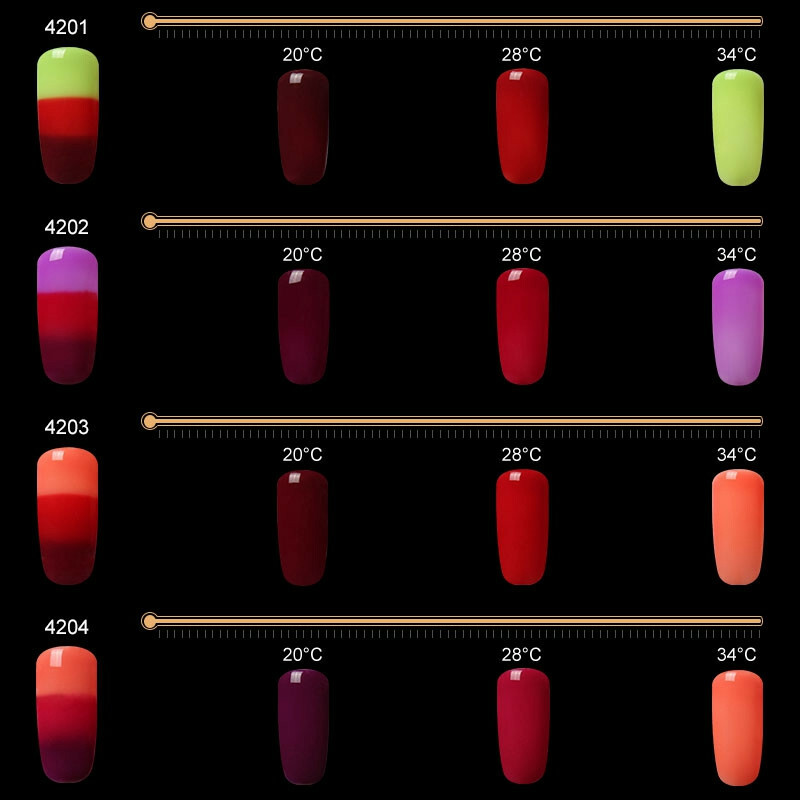 Below Picture Shows How the Color Change in Different Temperature. 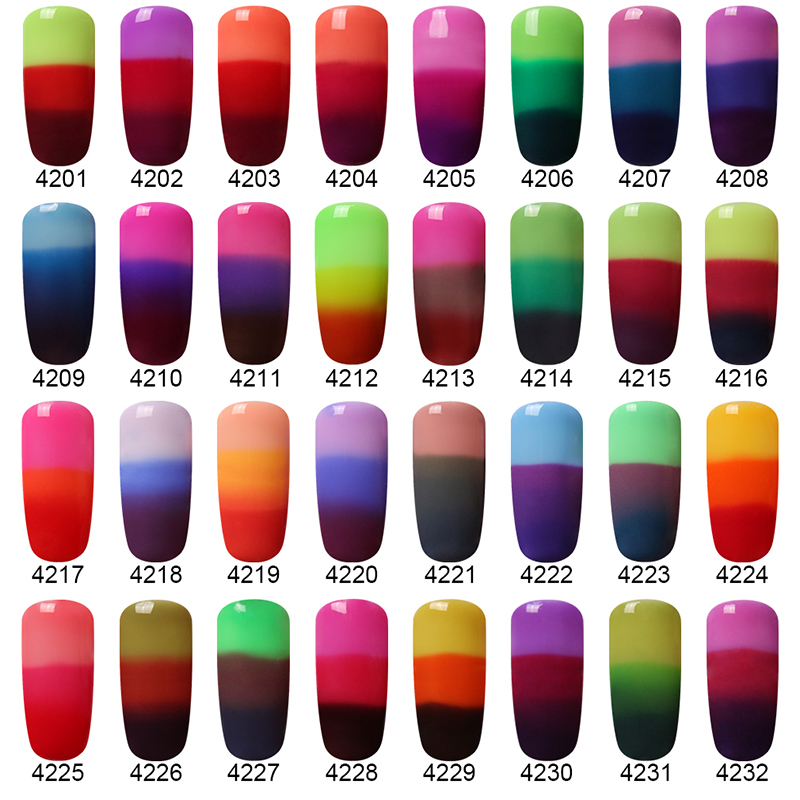 PS:Color difference may be caused by some reasons such as color reflection in the monitor lighting,background,etc.